The Grand Naniloa Hotel a DoubleTree by Hilton officially debuted Thursday, Nov. 10, after a $30 million, 3-year renovation. The oceanfront hotel located along Hilo’s historic Banyan Drive features 320 fully refurbished contemporary guest rooms and suites, a casual dining restaurant, an ocean-side pool, a complimentary nine-hole golf course, a music venue, a state-of-the-art fitness center, 13,000 square feet of indoor and outdoor event space, including a wedding gazebo and a 24-hour complimentary business center. The hotel’s towers are named after three of Hawai‘i Island’s volcanoes Mauna Loa, Mauna Kea and Kīlauea. 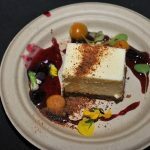 The hotel is a longtime host of activities surrounding the annual Merrie Monarch international hula competition and has served as a gathering place for many years. Participants and spectators come from all over the world to attend the prestigious festival. 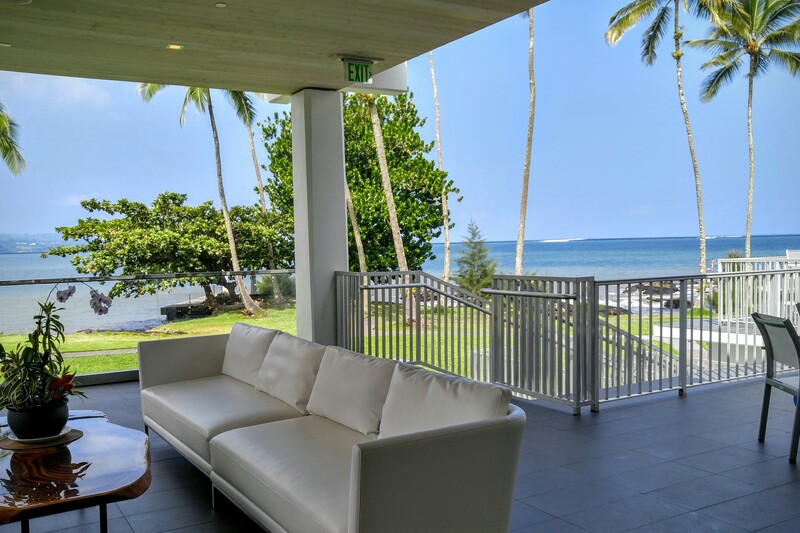 In honor of Hilo’s hula legacy, the hotel partnered with renowned hula photographer and artistic curator, Kim Taylor Reece for $4 million in art for the common areas and guest rooms of the oceanfront hotel. DoubleTree by Hilton is one of Hilton’s 13 leading brands. The hotel was sold as preventative measures to avoid bankruptcy in 2013. Keiki hula lessons and contests are among upcoming coming activities, as well as lei making. Bayfront, the hotel’s new restaurant, is expected to open in 2017. The Grand Naniloa Hotel Hilo – a DoubleTree by Hilton is located at 93 Banyan Drive. 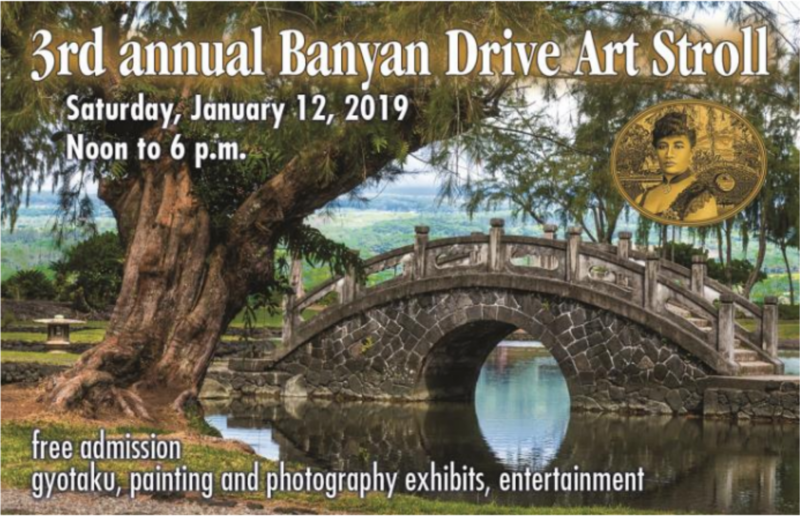 For more information go to grandnaniloahotelhilo.doubletree.com or call (808) 969-3333. The property is owned by WHR, LLC and managed by Aqua-Aston Hospitality. 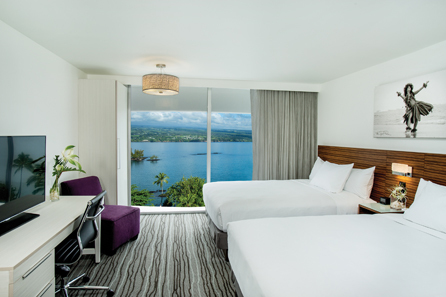 The oceanfront Hotel Naniloa on Banyan Drive in Hilo officially became The Grand Naniloa Hotel Hilo – a DoubleTree by Hilton Nov. 10, 2016. Photo: Crystal Richard. The open-air design and large covered lanai at The Grand Naniloa Hotel Hilo – a DoubleTree by Hilton on Banyan Drive in Hilo provides panoramic views of Hilo Bay and Mauna Kea. Photo: Crystal Richard. 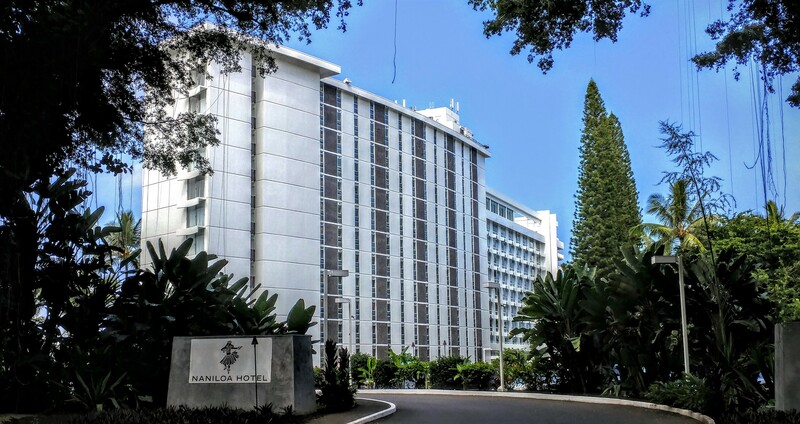 The Grand Naniloa Hotel Hilo – a DoubleTree by Hilton located along Hawaii Island’s historic Bayan Drive became the first DoubleTree on Hawaii Island on Nov. 10, 2016. Photo: Crystal Richard. The Grand Naniloa Hotel Hilo – a DoubleTree by Hilton blends traditional Hawaiian culture with the most modern and luxurious conveniences. Credit: Hilton Hotels & Resorts. The Grand Naniloa Hilo – a DoubleTree by Hilton Double Queen Bedroom. Courtesy photo. 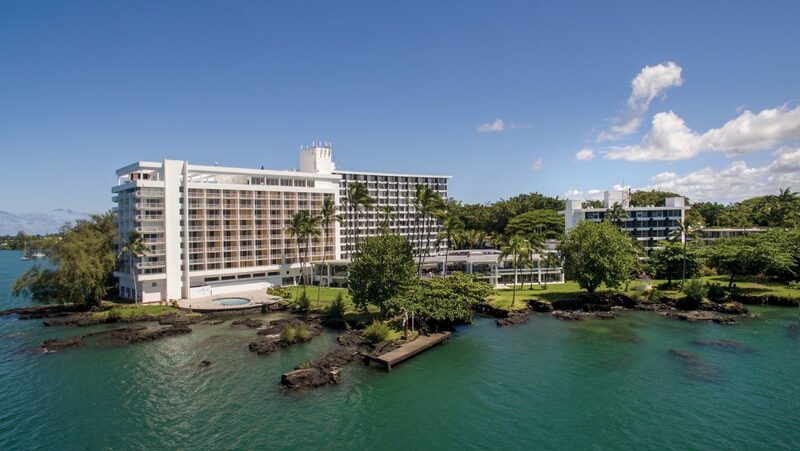 The Grand Naniloa Hilo – a DoubleTree by Hilton Lobby Sunrise. Courtesy photo. 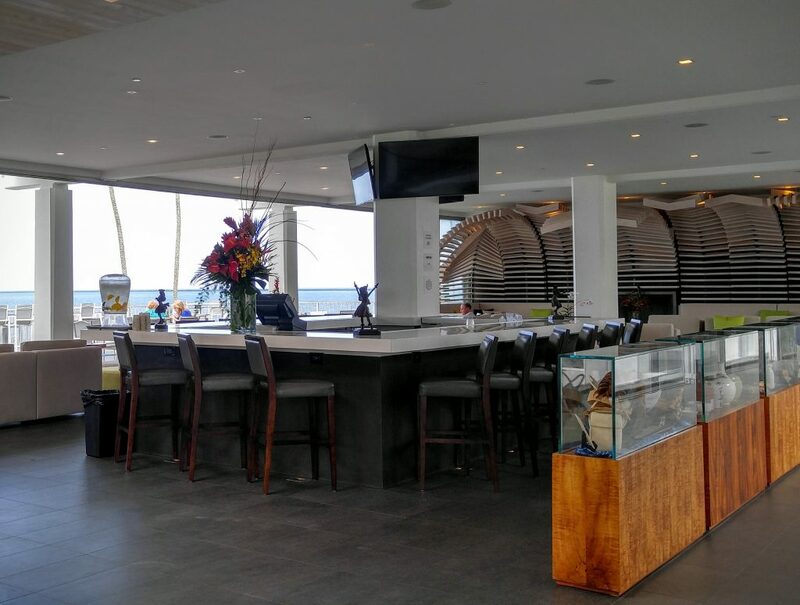 The Grand Naniloa Hotel Hilo’s lobby bar embodies traditional Hawaii with a modern flare. Photo: Crystal Richard. World-renowned fine art artist Kim Taylor Reece provided $4 million in art for both the common spaces and guest rooms at the newly renovated and opened, Nov. 10, 2016, Grand Naniloa Hotel Hilo – a DoubleTree by Hilton. Photo: Crystal Richard. 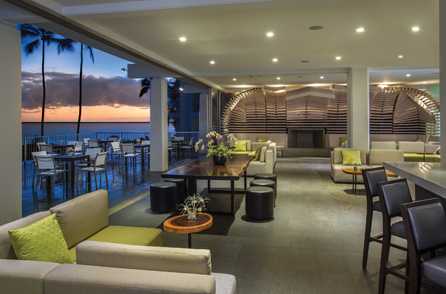 The hotel’s $30 million renovation includes a contemporary lobby bar, glass cases, with rotating exhibits which feature and highlight Hilo’s rich history and culture. KapohoKine Adventures also now located in the lobby at The Grand Naniloa Hotel Hilo – a DoubleTree by Hilton on Banyan Drive. Photo: Crystal Richard.